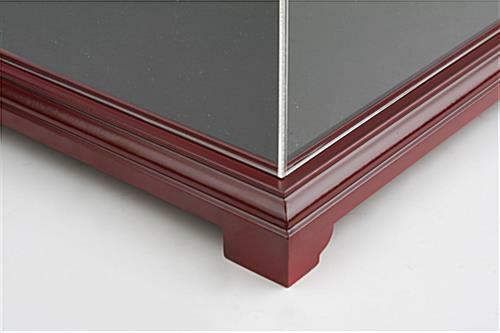 Rubber wood base with a red mahogany finish for a durable platform to display collectibles. Includes a removable riser for displaying round or uneven objects. 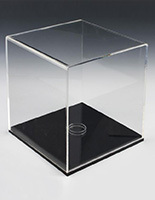 Rectangular, clear acrylic top provides clear view from all angles. 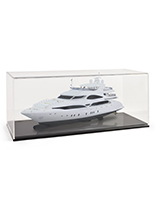 These acrylic showcases, model display cases feature a simple design, making them ideal for displaying a variety of goods. Finely crafted from rubber wood with a beautiful red mahogany finish, these diecast ship holders are an attractive yet affordable way to present items. 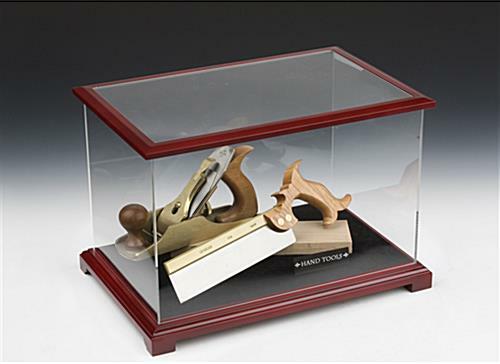 The model display cases also include an acrylic top that lifts off for easy access to the displayed item. 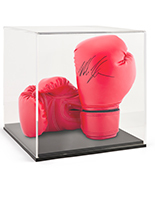 Users can exhibit various types of memorabilia within this diecast box. 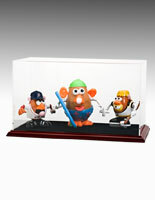 These model display cases can be used at home for displaying antiques or collectibles. 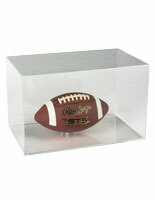 University and schools also use this type of acrylic showcase to present autographed sports memorabilia, such as a game-winning football. These collectible holders, model display cases provide an affordable means of showing off your awards and antiques in a safe way, as the units prevent your items from getting dusty or easily damaged. These acrylic boxes are not of museum quality, however, as they do not lock. These model cases feature a black velour base to prevent your collectibles from scratching the surface. 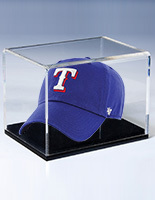 This diecast acrylic box is neutral in design, enabling a variety of items to be displayed within. 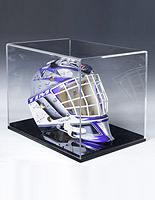 These model display cases, like collectible showcases, come with a ball cradle to ensure your autographed sports memorabilia stays in place. Buy this diecast ship holder to protect your memorabilia today! 18.0" x 78.0" x 11.8"
16.3" x 9.5" x 9.8"
16" x 9.5" x 10"